color: SOME SOLDIER'S MOM: WIN FREE MILITARY BOOTS FOR LIFE! 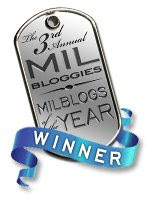 MILITARYBOOTS.COM is running this contest... and I, for one, cannot wait to see the pictures and hear the stories! I am certain there will be many, "So there I was... no sh*t..."
Your boots have endured everything you've thrown at them. Drilling. Marching. Combat. Miles upon miles through never-ending plains, scorching deserts, and urban jungles. Whatever your boots' story may be, we want to see 'em. The Converse Military Boots For Life Contest is searching the planet to find the oldest, most worn-out set of boots. The more battered and tattered, the better. Whether you've crawled through swamps or scaled mountains, you could own the winning pair...and score a LIFETIME SUPPLY OF CONVERSE BOOTS! Submit a photo of your boots along with a brief story telling us why your boots are in the world's worst condition. 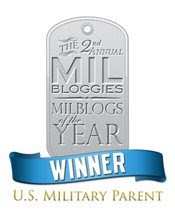 Send your entry to contest@militaryboots.com by March 31, 2010. Show the world what it's been like to walk a mile or 20 in your boots. And be rewarded for your effort! Win a free pair of Converse military boots every year for the next 20 years, courtesy of Militaryboots.com. I'd love to see those boots too! Maybe not smell them, but certainly see them!